It was arguably the most intense scene of Game of Thrones. The realism was astonishing; panicked men on fire, charred corpses collapsing to ash. 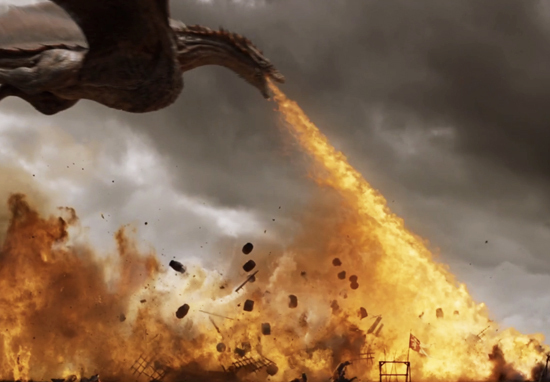 Drogon had never looked more magnificent or detailed, the Dothraki had never looked so fierce and wild. It was a frightening, game changing end to a tense and revealing episode. It was one of those once-in-a-season scenes which left you wondering, how the hell did they film that? If you thought watching this episode was scary, imagine filming it. Especially when you consider a lot of the action was actually performed by stuntmen, rather than edited in with CGI. 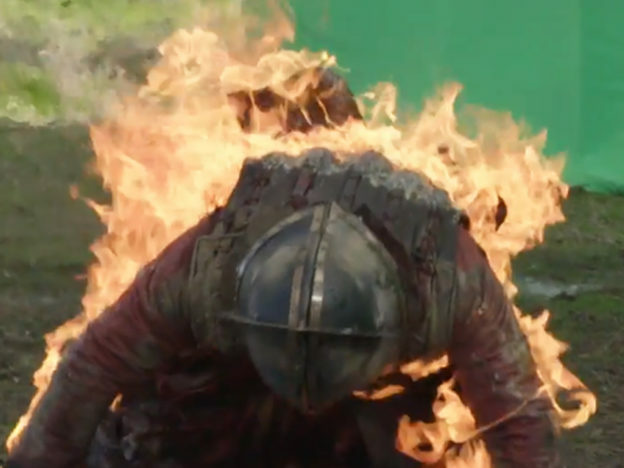 Yes, there were actual men on fire in this scene… twenty in fact, at the same time. 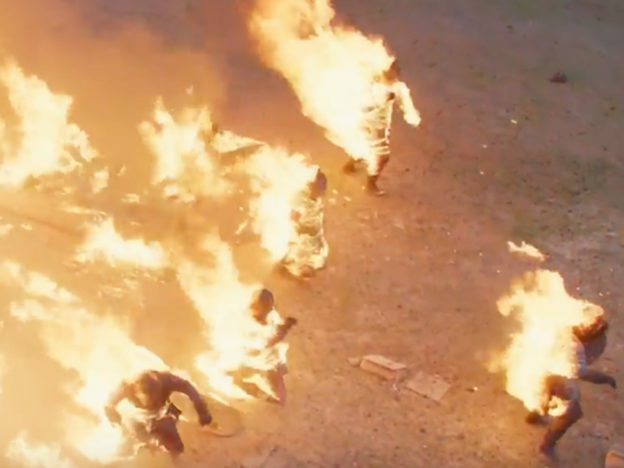 More stuntmen were burned in this sequence than in any other. Special explosive poppers were placed into subterranean metal cages so the shrapnel wouldn’t hurt anyone. A pyro charge was added, exploding the gas popper and creating a 15 foot fireball. The safety aspect of filming this scene was paramount, and the special effects team were concerned about the men standing too close together, with the heat gathering in the centre. During the whole process while you’re on fire, you do have to hold your breath and, that’s another key point, to keep your heartrate down so you can hold your breath throughout the scene. If someone’s on fire, you know, it’s quite a high adrenalin thing going on, and saving your breath is very important so you’ve got to stay calm.